Thanks, I think so, haha! What was your favorite purchase you made this year? Oh my gosh! I love all of these. It looks like you made some really great purchases! Thanks Jacqueline! Did you have a favorite purchase from this year? Yes the Gimme Brow is honestly the best thing on this list in my opinion! And oh yeah I forgot about those! I might have to pick one up one of those phone card holders when I change phone cases. The one I have now has a pocket, so I'm definitely used to having one! You've made some great purchases throughout the year. I love the VS workout leggings and the Nike shoes! VS workout leggings are the best! They're good for when I don't have money to shill out for the more expensive brands (which is never, haha) and they're so comfy! Great roundup! The VS slippers are my FAVE! I wear them all the time at home. I need to find some nice jammies and actually be an adult instead of wearing worn out old tees. Maybe I'll check out that VS sleep shirt. What a great roundup! I love the Kate Spade bag! O girl, that floral romper! Loving these picks! The clarisonic, too faced melted, and nikes would make my list for sure! 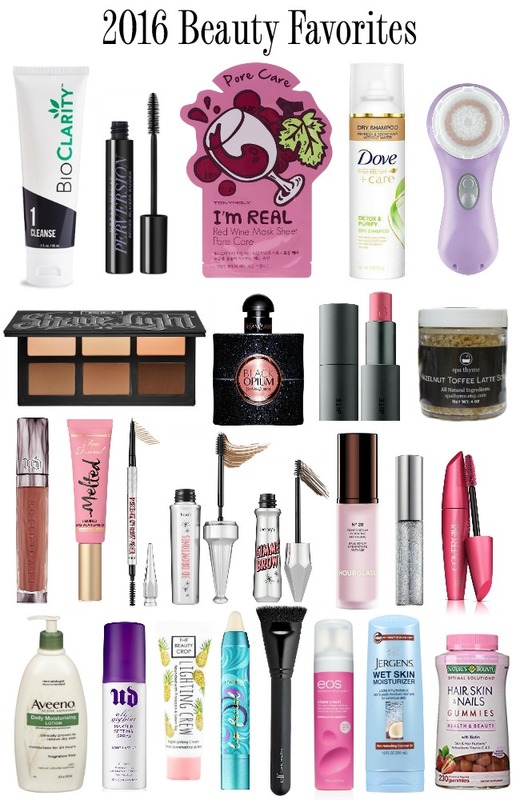 Ooh so many great products! I need to check some of these out! You purchased a lot of great stuff this year!!! I just got the Red Wine mask for Christmas. I can't wait to try it. I am obsessed with the Benefit brow stuff. Loving so many of these things - especially that romper and the converse. So fun to look back on 2016. You covered a lot of ground. Love all your faves. Don't think I could decide on a fave but love the black off the shoulder dress and Kate Spade bag, can you tell I'm partial to black?! It's fun to reminisce and see all you've accomplished! Wow. Lovely picks. Great recommendations. I just thought I'm done with my shopping for the season. You're inspiring me to go for more! I love everything!!! 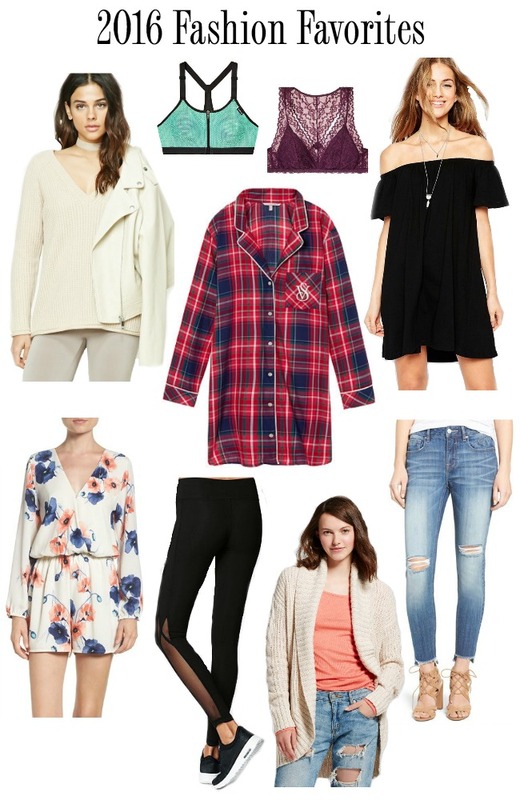 I've been thinking about switching to a sleep shirt instead of my flannel pajamas and I think you just convinced me! and I have that scarf! I bought mine on Amazon and it was slightly cheaper. Totally love it! Your lists are amazing! I especially love the plaid sleep shirt. I'd love me a pair of converse slip on. This year for sure! My favorite purchase of 2016 has to of been my Silhouette Cameo. It's a cutting machine and has taken crafting to a whole new level! Love finding new blogs! We appreciate all the effort you put into this detailed post. Our favorite piece is tough to pick, but the lace bralette is covet-worthy. Hope to connect with you soon! We're on Twitter @collegelivingns. Feel free to find us there. Converse is probably my favorite sneaker. They're such great quality and hold up super well. Love it! I LOVE all of your picks! I have those slip on Converse too and they're LEGIT so comfy! I bought them right before I went to Italy this summer and I literally wore them throughout Capri, Naples and Sicily comfortably. Seriously recommend them too! Recenlty my friend tell me how he made his home beautiful with plug in led puck lights. He also said he is really happy with the lights.